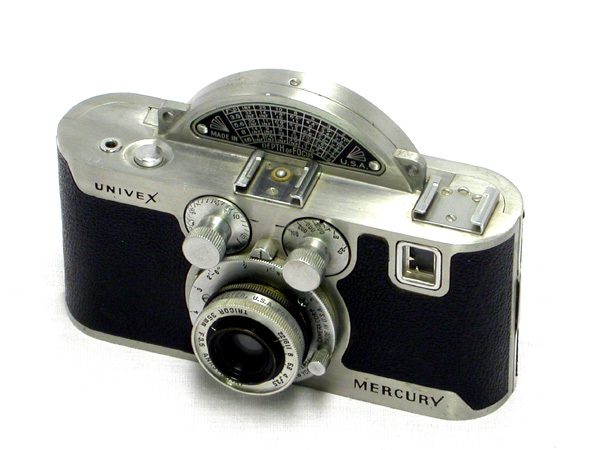 1938 to 1942 Univex Mercury Model CC made by Universal Camera Corp on NY, NY has an unusual rotating focal plane shutter. This example has a Wollensak Tricor f3.5 35mm lens as standard. This is a half frame camera taking 18 X 24mm images on Universal No. 200 film.